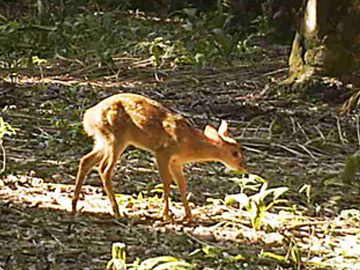 A trail camera in Bolivia’s Barba Azul Nature Reserve has captured video images of a Gray Brocket Deer fawn grazing in a palm forest clearing. This is the first record of Gray Brocket Deer (Mazama gouazoubira) breeding in the reserve. World Land Trust (WLT) supports conservation in Barba Azul Nature Reserve in partnership with Asociación Armonía, which owns and manages the reserve. Barba Azul comprises several different habitats including savanna, forest islands and marsh. Gray Brocket Deer were first recorded in the area in 2013, and since then staff of Asociación Armonía have been monitoring a pair living on a large palm island forest. Gray Brocket Deer occur in countries across South America. 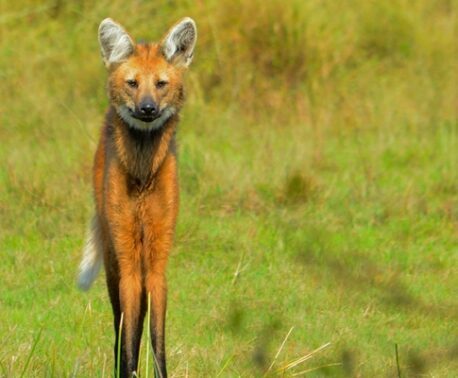 The species isn’t threatened but does require a dense forest habitat for shelter. The presence of Gray Brocket Deer at Barba Azul indicates the success of recent forest restoration efforts by Asociación Armonía. Prior to the reserve being created in 2012, cattle had destroyed much of the vegetation on the palm forest island where the fawn was recorded. Now, thanks to fencing and other conservation measures, cattle are being kept off the forest islands, and vegetation is growing again. Barba Azul is also home to several rare species endemic to northern Bolivia including the critically endangered Blue-throated Macaw (Ara glaucogularis). WLT provides ongoing funding for a wildlife ranger at Barba Azul (Rene Cartagena), and in 2013 WLT used Buy an Acre funds to double the size of the reserve. 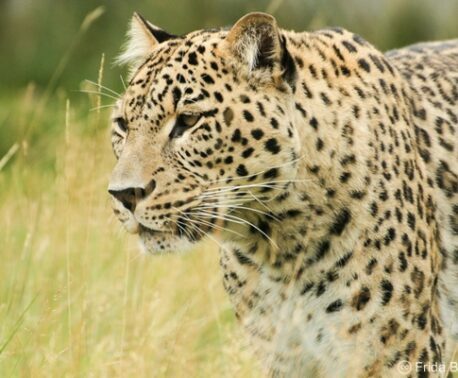 WLT continues to raise funds to save land to extend the reserve. You can help protect Barba Azul’s Gray Brocket Deer family by making a donation to Keepers of the Wild or to Buy an Acre.